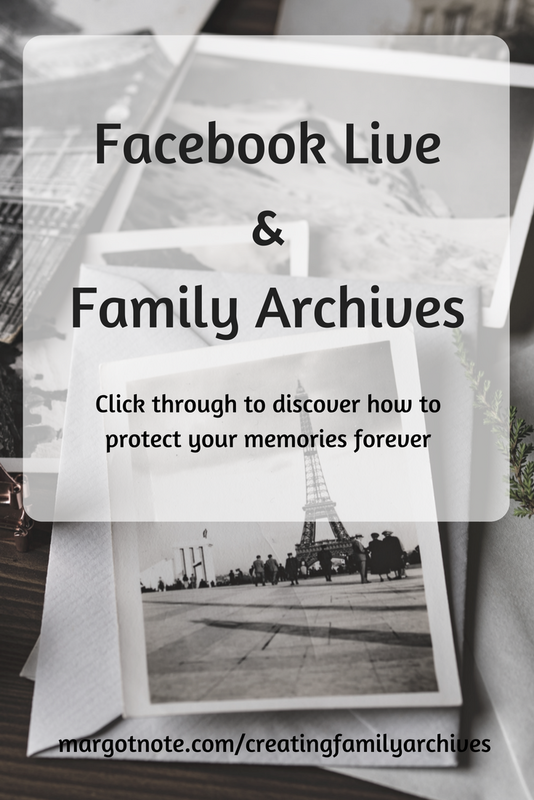 I'm starting a series of Facebook Live events discussing how to create your family archives. The premiere episode will be this Monday, July 17th at 2 pm EST via Facebook Live on my Creating Family Archives group page. If you're not already a member, come join the fun! All you need to do to join me is click this link and watch the video on Facebook at 2 pm EST. (Don't live in the Eastern time zone? Convert your time zone here). Our focus during this session will be on establishing your archival goals and creating a plan to organize your papers and photographs.